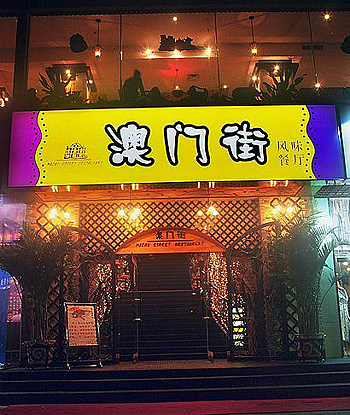 Macau Street is one of local favorites, with warm, lively and exotic decoration. It features wide food combination of Portuguese, Southeastern Asian and Chinese cuisines. The flavor is strong and well-received. Its pricing is above-average. Copyright ©2001-2014, Cantontradefair.com All Rights Reserved.